Grave Reference: North Extn. Grave 828. 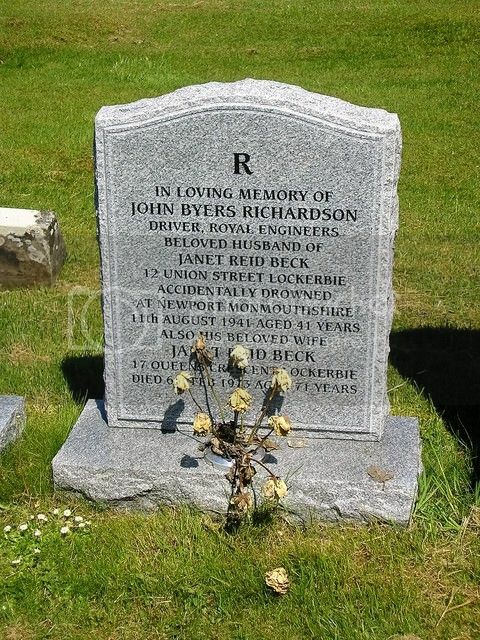 Additional Information: Son of Andrew and Grace Richardson, of Lockerbie; husband of Janet Reid Richardson, of Lockerbie. Regiment/Service: Canadian Infantry 43rd Bn. 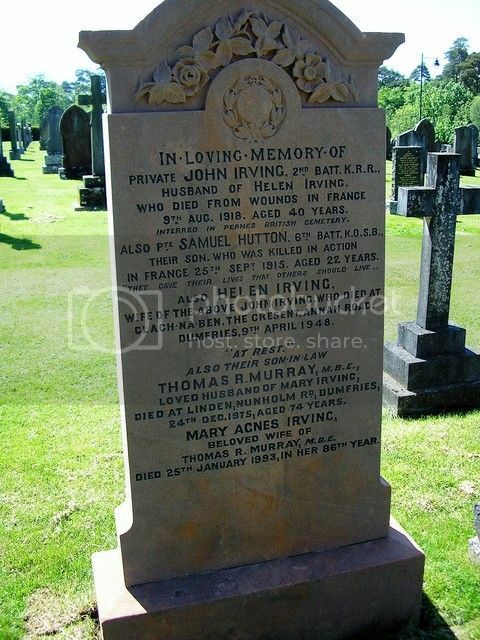 James was discharged from the army in April 1916 but died in Liverpool three years later from the effects of his wounds. 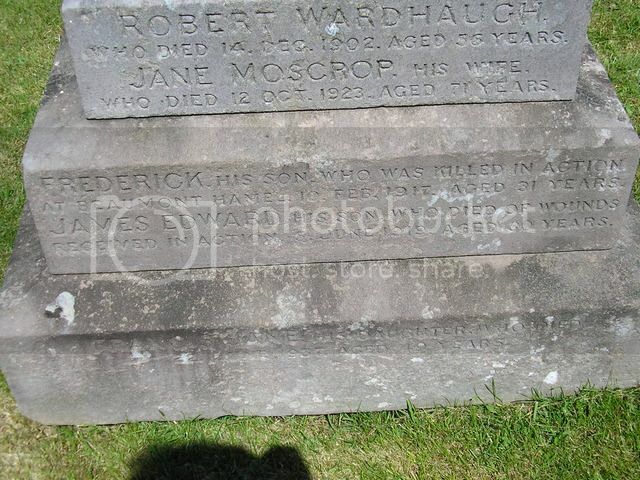 Panel Reference: Pier and Face 6 A and 7 C.
Additional Information: Husband of Mary Jane Wardhaugh, of The Market Place, Brampton, Cumberland. Regiment/Service: Royal Air Force Volunteer Reserve 141 Sqdn. Grave Reference: North Extn. Grave 409. 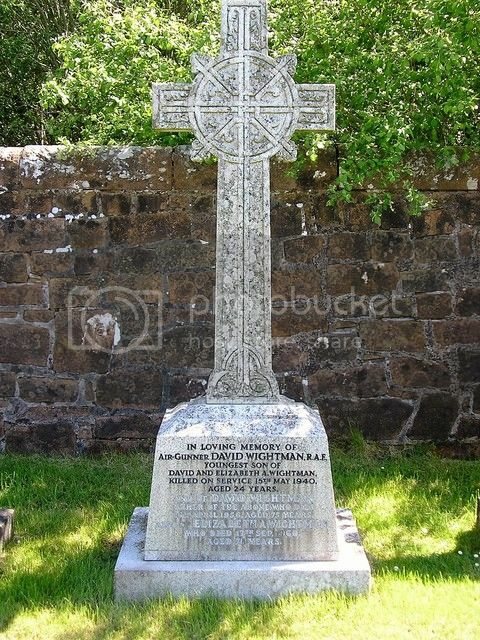 Additional Information: Son of David and Elizabeth Ann Wightman, of Lockerbie. 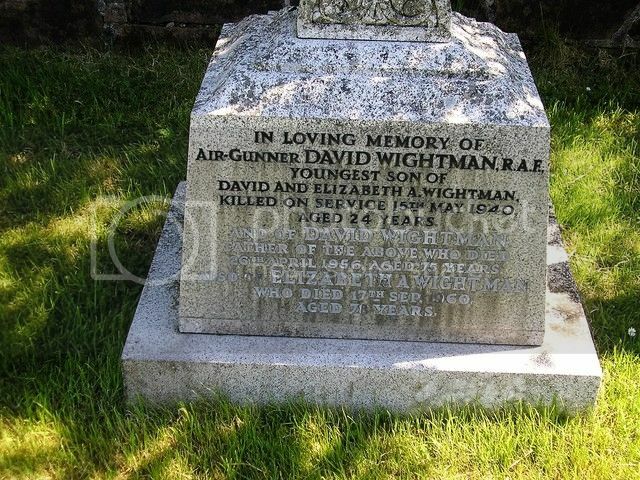 David joined the RAF at the outbreak of war. He had just completed his gunnery training when his aircraft crashed and he and his pilot were killed. 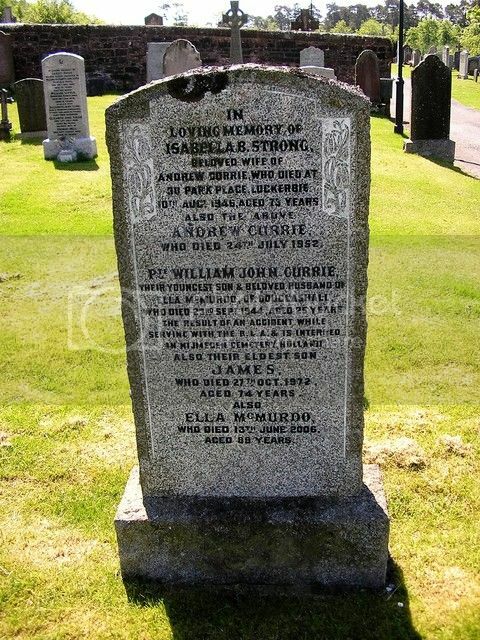 Their deaths were registered in Grangemouth and the pilot Sergeant S.F.H. Keene is buried there. 141 Squadron had been formed at RAF Turnhouse near Edinburgh in September 1939 and in April 1940 were equipped with Boulton Paul Defiant two-seat fighters. Regiment/Service: East Yorkshire Regiment 5th Bn. 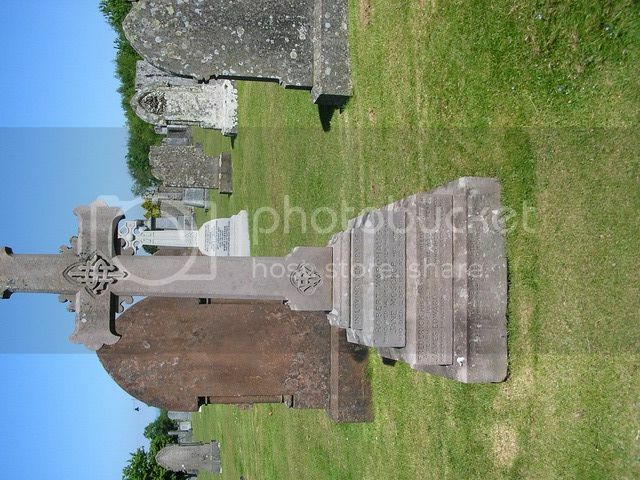 Grave Reference: Plot Y, grave 232. 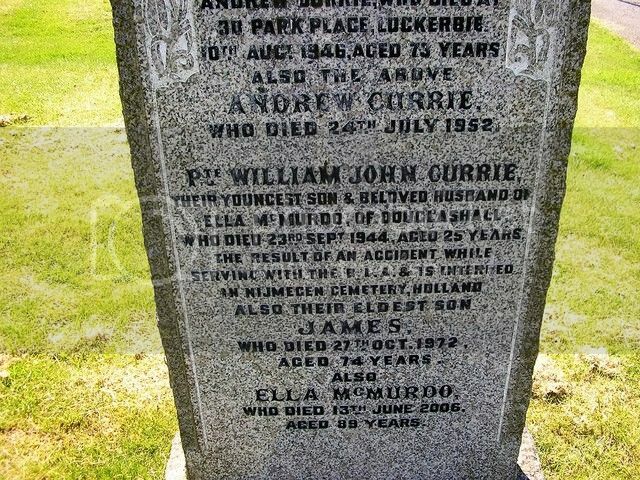 Son of Andrew and Isabella Currie; husband of Isabella A. T. Currie of Eccelefechan, Dumfriesshire. Panel Reference: Panel 85 to 93 or 220 to 222. 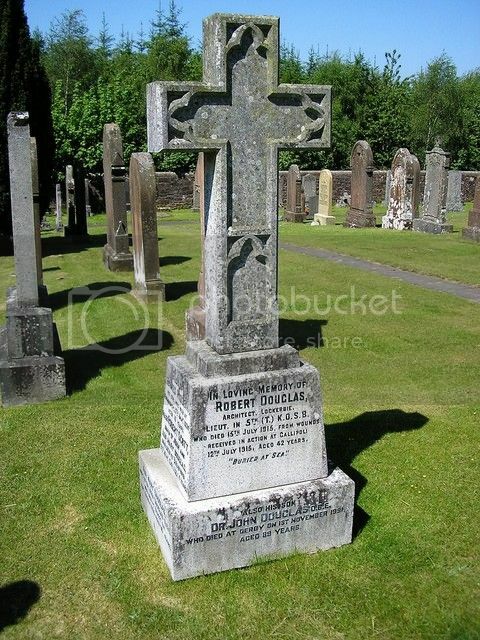 Son of John Douglas, of Lockerbie Hill, Lockerbie; husband of Catherine Scott Douglas, of 72, Falcon Avenue. Edinburgh. Grave Reference: III. B. 12. 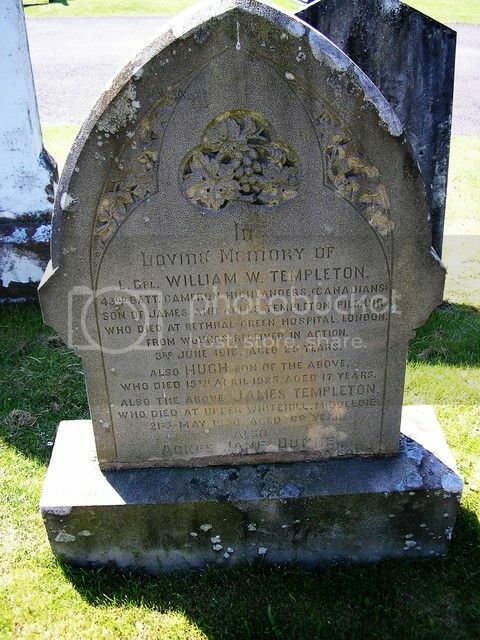 Son of Mrs. Helen Irving, of Turnmuir Cottages, Lockerbie, Dumfriesshire. 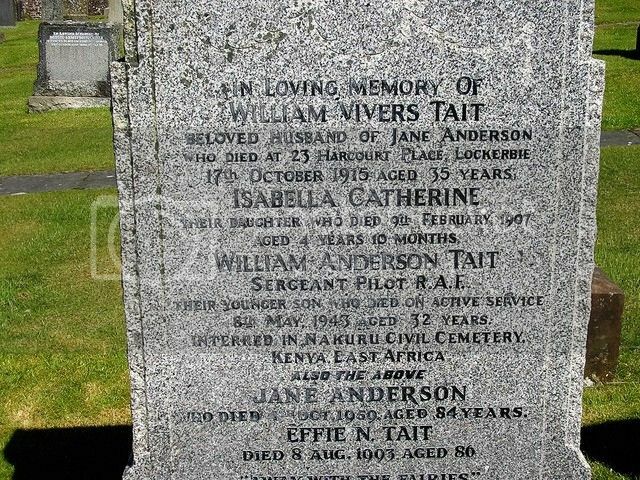 Son of William Vivers Tait, and of Jane Carruthers Tait, of Worsley, Lancashire. During WW2 there was a Royal Air Force Flying Training School at Nakuru in Kenya. “Billy” was flying a Bristol Blenheim of 70 Operational Training Unit when a wing flap failed as he was on approach to landing. The aircraft rolled and hit the ground.